Bamboo is synonymous with strength, nature and style which makes it perfect for bathrooms. Find natural inspiration with these 11 bamboo bathroom accessories! When you think about bathroom accessories the last thing that’ll probably spring to mind is bamboo. With the rise in popularity of natural interior style, materials such as bamboo have rapidly grown in demand; ensuring lots of beautiful bamboo bathroom accessories to push their way onto the market. With such a large selection of bamboo bathroom accessories to choose from, our interiors experts here at Victorian Plumbing wanted to help save you some time and inspire you by gathering together some stylish ideas. After many late nights, consumption of huge volumes of coffee, and some blood, sweat and tears we’ve handpicked 11 fresh bamboo bathroom accessories ideas to help you breathe life into your bathroom and create a totally natural look! 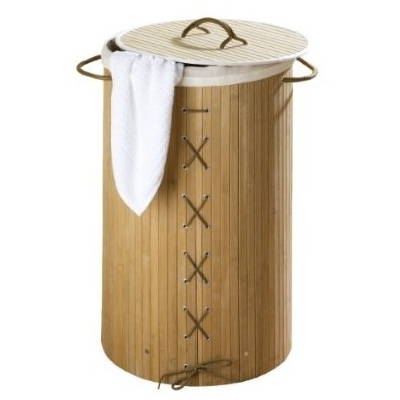 Give your bathroom an attractive feature with this beautiful bamboo laundry bin by Wenko. Not only does it feature rustic tones, perfect for creating a fresh, homely feel, but it also helps keep the bathroom tidy too; just make sure you enforce the rules for everyone to use it! No credible bamboo bathroom accessories list would be complete without a sophisticated bamboo bathroom accessories set would it? 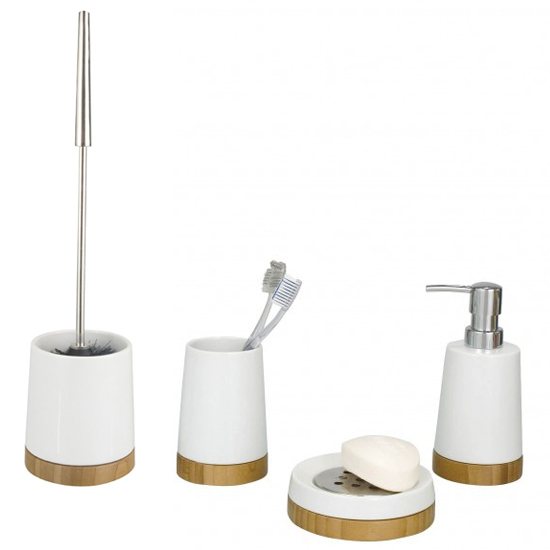 Keep your bathroom looking tidy and totally stylish with this stunning set of bamboo and ceramic Wenko accessories. It features all the essential elements including a tumbler, soap dispenser, soap dish and toilet brush and holder all made with bamboo and ceramic materials. Add a touch of luxury to your bathroom or wet room with this gorgeous bamboo duckboard with a stylish maze design by Lloyd Pascal. Give your room an added layer of safety by creating a non-slip surface whilst giving your bathroom a down-to-earth feel with a real sense of adventure. There’s nothing worse than trying to disconnect from everyday stresses and have a nice relaxing bath only to realise your favourite organic body scrub is on the other side of the room. 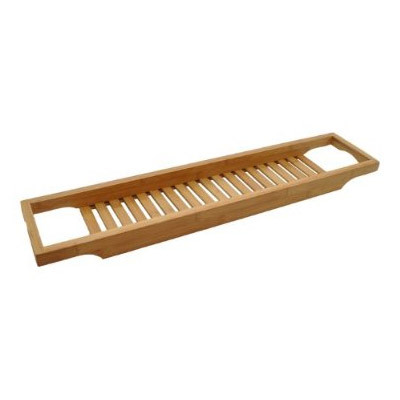 Keep all of your bath time essentials right where you need them with this quality slim bamboo bath rack. This large bamboo bath bridge with an unrefined look features a grated design to allow for easy drainage. One of the most important bathroom accessories is a towel rail. It will give you somewhere to hang your towel, obviously, and helps it dry much easier. 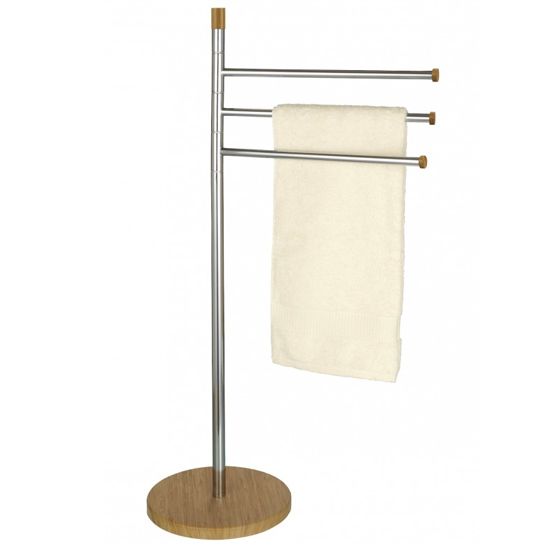 With a bamboo towel rail you can add this fantastic practicality as well as creating a clean, fresh and natural feel! Utilising corner space has become a bit of an art, especially for those of us with small bathrooms. Don’t let a small space prevent you from adding bamboo bathroom accessories. 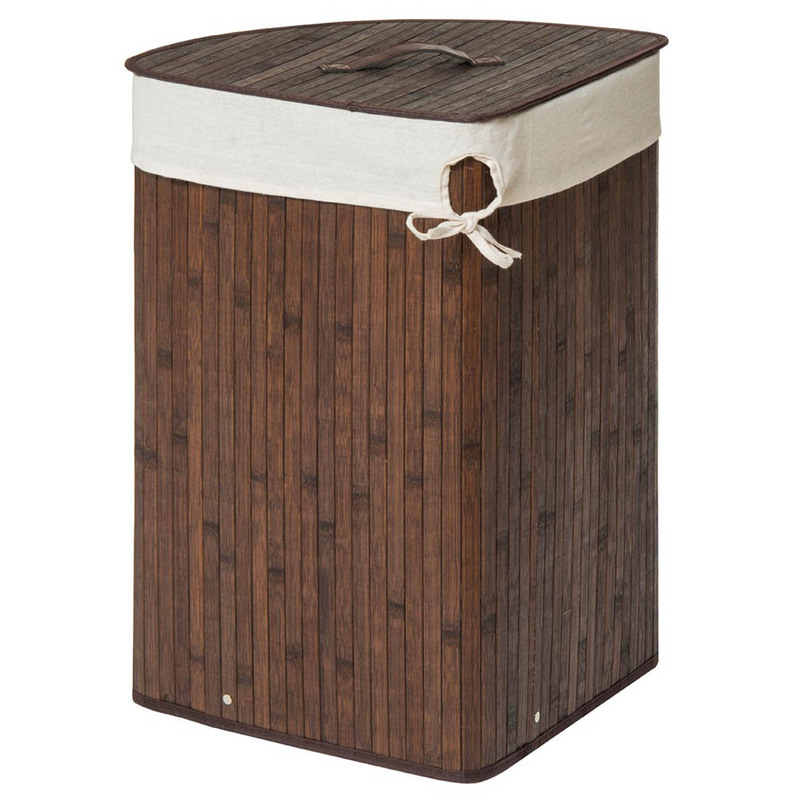 This attractively rustic corner bamboo laundry hamper is big enough for the family’s dirty laundry, yet designed to create an open feel by tucking itself away in the corner! Bath mats are one of the last accessories we think of when we buy bathrooms or restyle them. 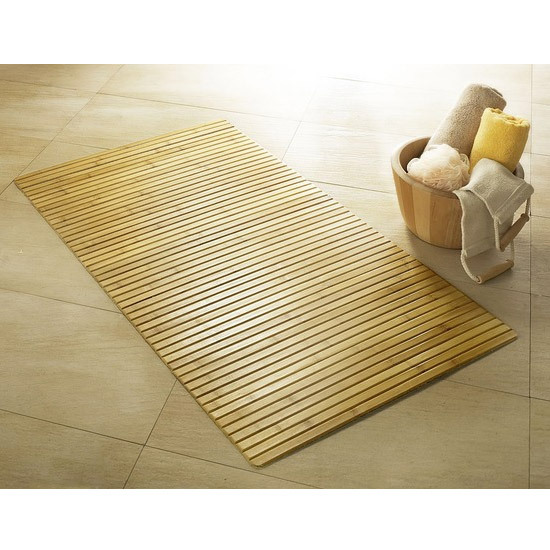 This beautiful bamboo bath mat by Wenko is hard to ignore though. It’s perfect for creating a natural, earthy feel with it's coarse looks, yet it will add safety and comfort for you and the whole family. Say no to annoying soap residue around the basin and never find the soap sat inside the plug hole again. A soap dish is a simple idea which safely and neatly stores bars of soap and prevents these annoying scenarios. 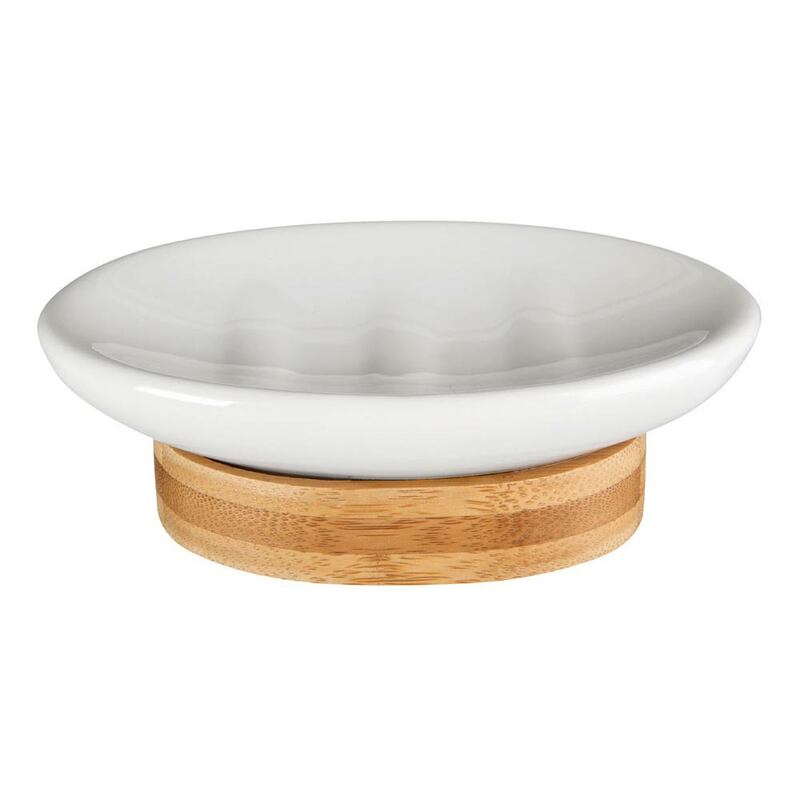 Why not consider a bamboo soap dish if you’re looking for a small addition for a natural design line. 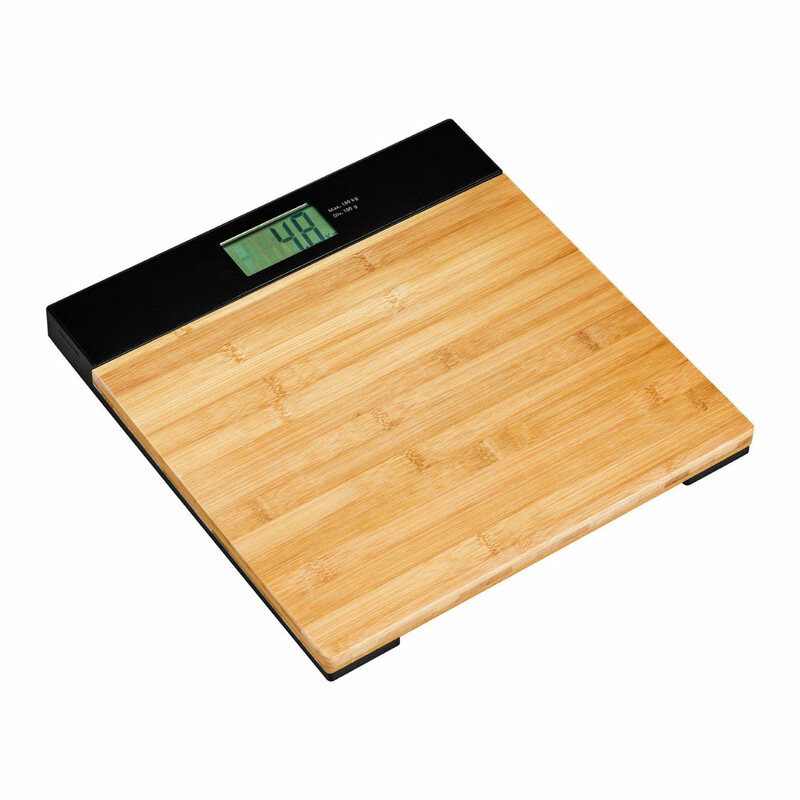 A popular bamboo bathroom accessory is this unique bamboo bathroom scale. It’s one of those cool additions which really make all the difference and is the lifeblood of any bathroom.. If you’re going to jump on the natural bathroom design trend then these scales are the perfect choice. 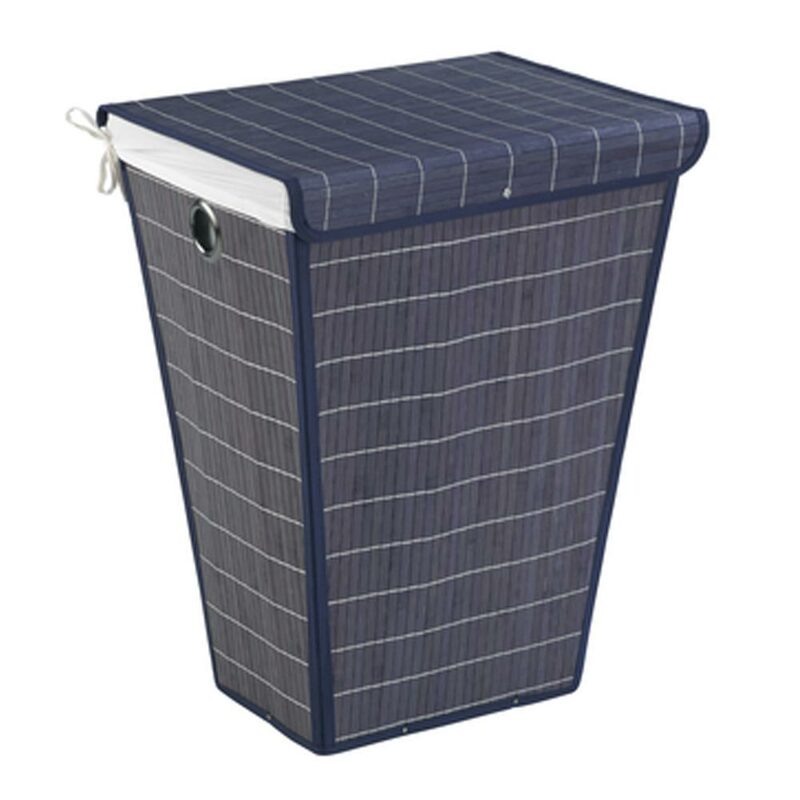 Laundry bins give dirty laundry a home before they’re taken to the washing machine. For a bamboo accessory which adds spirit and soul, why not consider this dark blue bamboo laundry bin for something which is unique, but still has a natural, earthy feel. 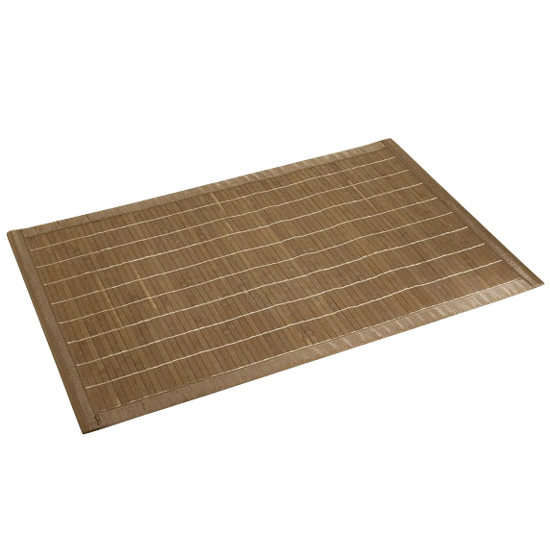 Similar to bath mats, this bamboo wood bath mat by Kleine Wolke creates a non-slip area for when you’re stepping out of the shower or bath. 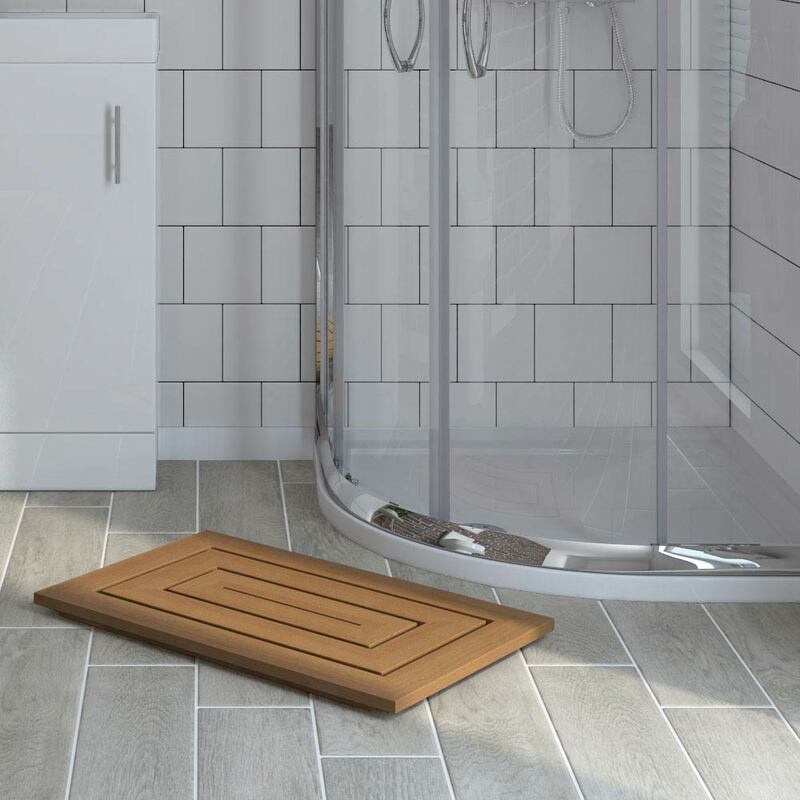 With wooden bath mats you'll get a totally natural look whilst adding a core accessory. The rustic look adds tons of style and if you love your creature comforts, they're also suitable for underfloor heating too. We really hope you’ve enjoyed looking through our bamboo bathroom accessories ideas and have taken some inspiration for your bamboo bathroom. When adding accessories for style it’s important to remember that you don’t need to have every accessory in that style. With natural, earthy bathrooms try mixing rustic materials such as bamboo, stone and other wood effect finishes; such as bathroom tiles for example. A great tile idea in this case would be stone effect tiles or wood effect tiles, but if you would like more inspiration, we recently listed 5 great tile ideas for small bathrooms which you can read here. If you know somebody who’ll love this article or will find great inspiration then feel free to share it with them. Any suggestions or feedback? Please let us know by sending us a message!